When JetBlue Airways is finally able to take delivery of its first Airbus A321, a step which the U.S. government’s partial shutdown has temporarily stymied, the aircraft will debut ‘Prism’ as the latest design to join the New York-based carrier’s line-up of tailfin designs. 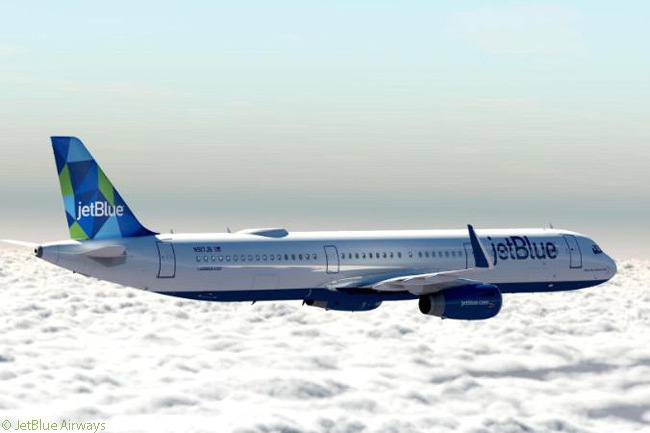 The ‘Prism’ tailfin design will feature exclusively on JetBlue’s new Airbus A321 aircraft. Unfortunately, although JetBlue Airways was due to take delivery on October 1 of its first A321 from the second Airbus A320-family final assembly line at Finkenwerder airfield in Hamburg, the partial shutdown of the U.S. Federal Government included the FAA’s Aircraft Registration Office in Oklahoma City has prevented the delivery from taking place. JetBlue Airways had already flown pilots and technical staff to Hamburg to take delivery of the airline’s first Airbus A321. However, the FAA Aircraft Registration Office’s closure was a step which U.S. aircraft operators and even the FAA itself had not foreseen, according to Aviation International News. Congress ruled that the office was a non-essential part of the federal government, even though the office’s closure makes it impossible to complete any sale or delivery of an aircraft to or from a U.S. company because no aircraft can be registered or re-registered on or de-registered from the U.S. aircraft registry while the office remains closed. 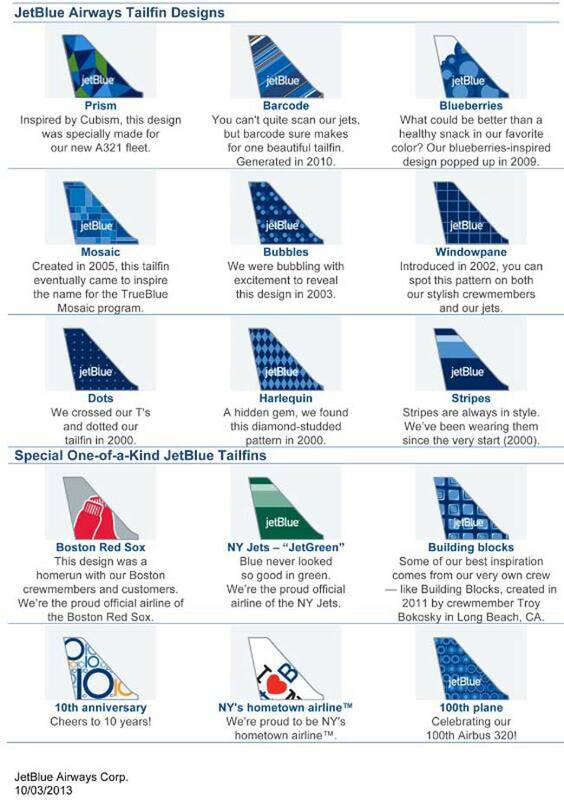 Prism, inspired by the Cubist art movement of the early 20th Century, will join eight other official JetBlue tailfin designs. It was developed by JetBlue’s brand team, led by Lashonne Duncan, brand design manager. According to JetBlue, the Cubist movement was revolutionary in its time, interpreting reality into two-dimensions on canvas, often dissecting and reassembling the image, challenging the audience to look at everyday things in a new way. On September 30, JetBlue announced product details for Mint, its new premium-service product for transcontinental flights. Mint is designed to compete with other airlines’ business classes in U.S. transcontinental markets. The carrier will offer Mint from June 15, 2014 and extend it to all flights between New York JFK and Los Angeles by the end of 2014. Mint will be offered on all flights between New York JFK and San Francisco by the end of the first quarter of 2015. The first flights featuring Mint are now available for seat bookings on www.jetblue.com. JetBlue first introduced green to its aircraft line-up with the introduction of JetGreen, a special livery celebrating JetBlue’s sponsorship of the New York Jets football team. Green was limited to that aircraft until the introduction of Prism, but now becomes part of JetBlue’s permanent aircraft color-scheme palette.